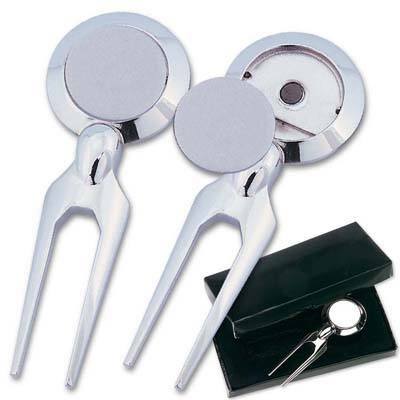 This Chrome Plated Divot Fixer is the perfect give away as souvenirs. It is available in your basic chrome color. Imprint Area : 0.625" dia. This Chrome Plated Divot Fixer is the perfect give away as souvenirs. It is available in your basic chrome color. You can also customize the product by imprinting your company’s logo on the side. A great give away to golf enthusiast and men in the army. This can be used for promotional purposes at tradeshows and conferences. This is a useful and memorable souvenir.